A total of 245 completed reports were received in this six month period, between July and December 2016, representing a much higher level of reporting than the previous six-month period, in which 190 reports were received, and again a significantly higher level than all previously recorded periods. This level of reporting shows a consistent rise since the launch of iReport.ie in July 2013. In total, 1335 reports have been received by iReport.ie since July 2013. 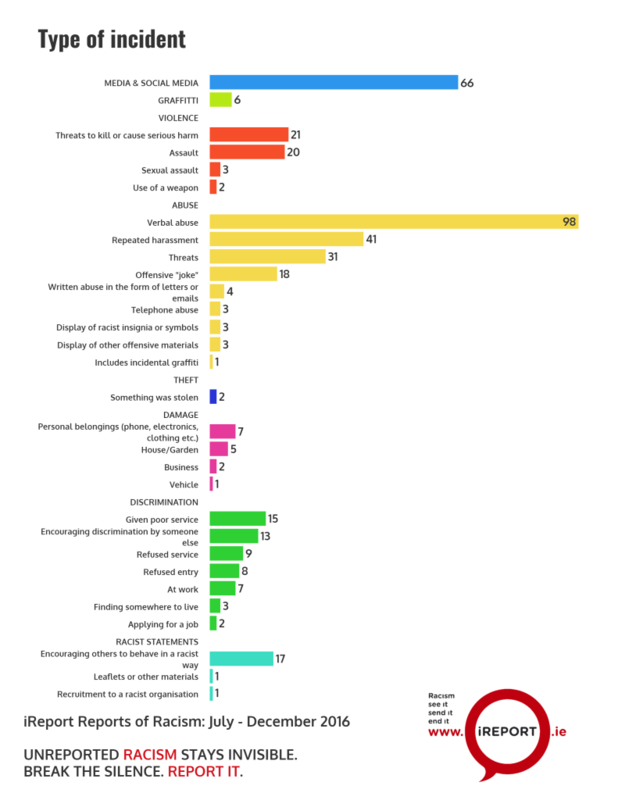 57 incidents involving illegal discrimination. Six cases included offences of criminal damage caused by graffiti, as well as offences of incitement to hatred in all 6 cases. 66 cases concerned incitement to hatred offences in media and social media publications. With the emergence of an emboldened racism in late 2016 associated with the American elections and Brexit, and an apparently growing anti-immigrant sentiment across Europe, it was expected that the number of reports submitted to iReport.ie would rise in this period. The increase is observable in the total figures, up to 246 from 190 for the previous period, and in an increase from 53 to 66 reports of racist media and online publications, from 79 to 98 reports of verbal abuse and an increase from 38 to 57 reports of discrimination. Levels of violence stayed relatively consistent with the previous period. 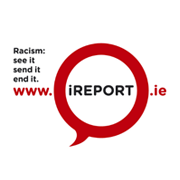 The increased number of reports submitted to iReport.ie in this period, and over the 3 years since iReport.ie was established clearly reflects the frustration felt by both people targeted by racism and those who witness it with the existing official systems for recording racist incidents of violence, abuse and discrimination. There is growing evidence of a consistent pattern of willful miscommunication and refusal to record incidents by An Garda Siochana. 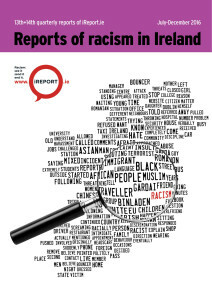 Levels of trust in Gardai to address racism continue to be extremely low, and the high number of reports which indicate that the incidents are part of an ongoing pattern of racism, particularly those which have escalated to violence over a period of time, demonstrate that Garda efforts to tackle racism before it escalates need to improve. More than forty percent of all incidents reported were part of a pattern of repeated harassment. The impact of racism is evident both in the descriptions of the incidents reported, and in the specific answers given to this question. Significant levels of fear have led to mental health problems, ongoing anxiety, depression, avoidance of public places and normal life, as well as loss of confidence and work and study opportunities. These are grounded in the real, frequent and direct experiences of those targeted. There is no doubt that world events have raised anxieties about victimisation, but the reports here demonstrate that those targeted by racism undertaken extraordinary work in managing their emotional and physical responses to victimisation in order to carry on with everyday life. The extent of the injuries, physical and emotional, which they experience, and the frequency with which they experience them, are challenging in the extreme, leaving those targeted feeling entirely exposed and unsafe. The data presented in this period highlights the very real need for effective statutory responses to racist hate incidents, support for victims, and preventative measures in the cases of repeat harassment which make up such a large part of the reports. Action is needed to address the failings in the current criminal law, in the training, supervision and accountability of members of An Garda Siochana in dealing with racism, and in the provision of statutory support for victims. Discrimination in employment, housing and service provision, and particularly in public services, must be addressed through effective publication of information about support and resolution measures, lost through the recent changes described earlier, and through training and supervision of staff in public services to prevent discriminatory treatment and abuse. 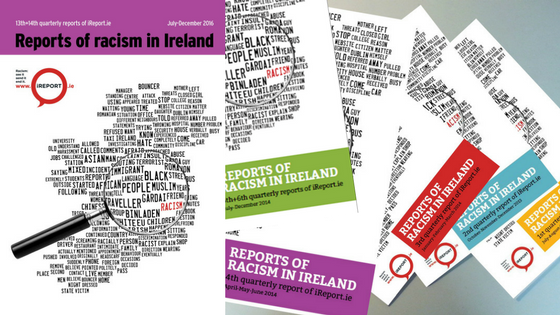 Read the full Q13 & Q14 iReport Reports of Racism in Ireland here.